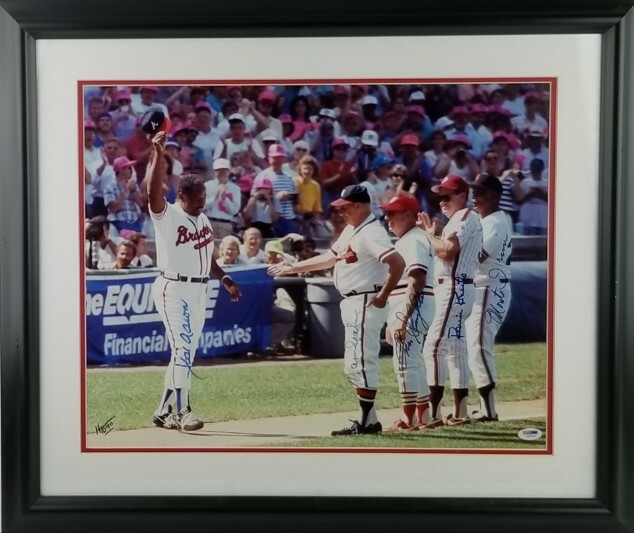 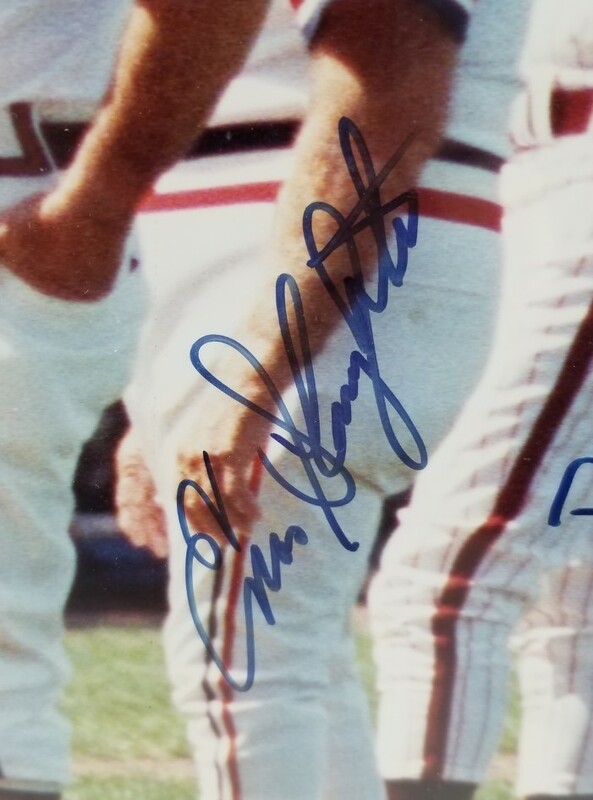 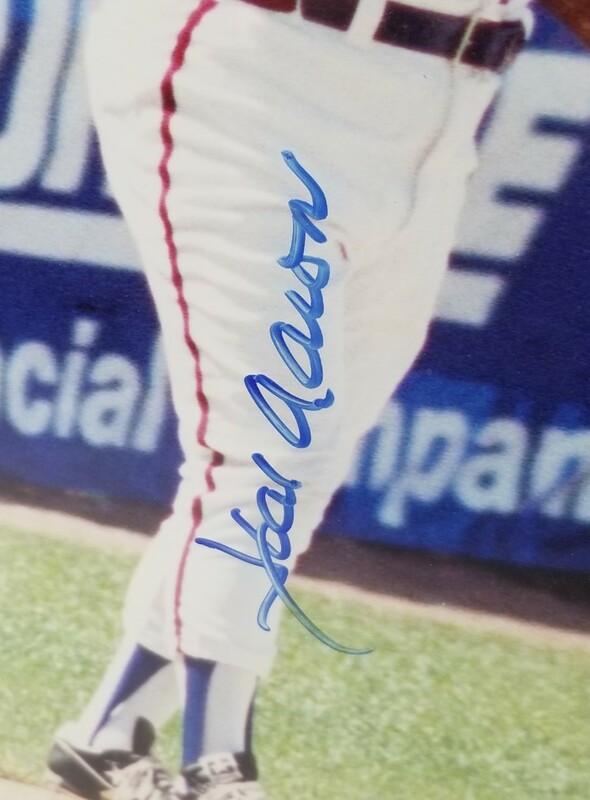 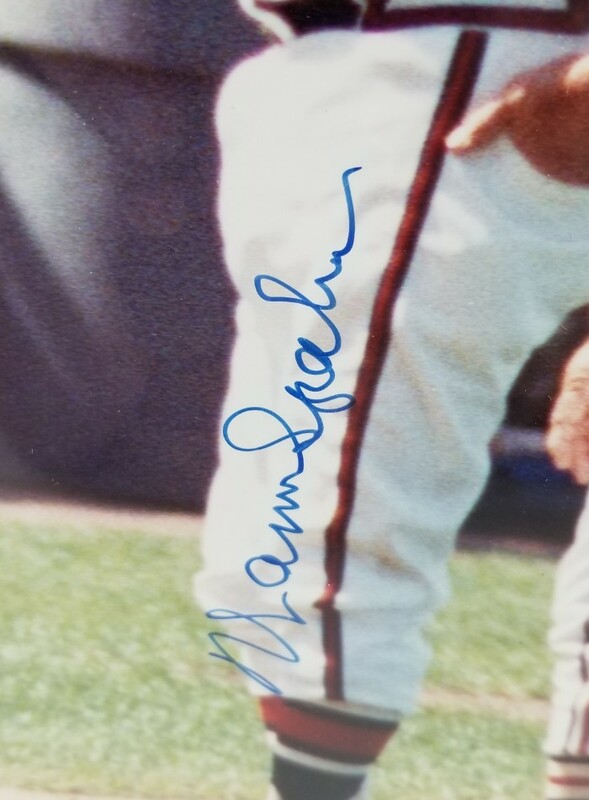 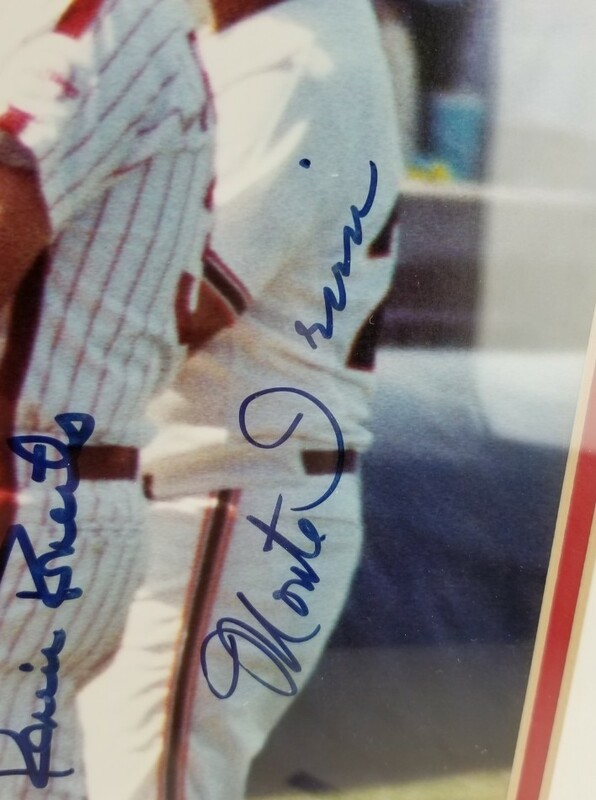 This autographed 16x20 photo, featured in a framed display measuring 23" x 27" has been personally hand-signed by Hall of Famers Hank Aaron of the Atlanta Braves, Warren Spahn of the Milwaukee Braves, Enos Slaughter of the St. Louis Cardinals, Robin Roberts of the Philadelphia Phillies and Monte Irvin of the New York Giants. 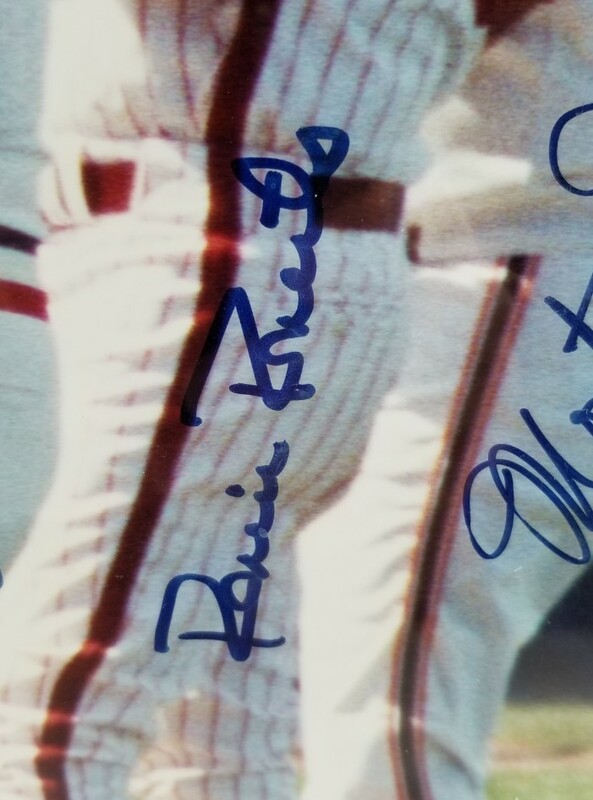 All 5 Hall of Famers signed vertically on themselves. 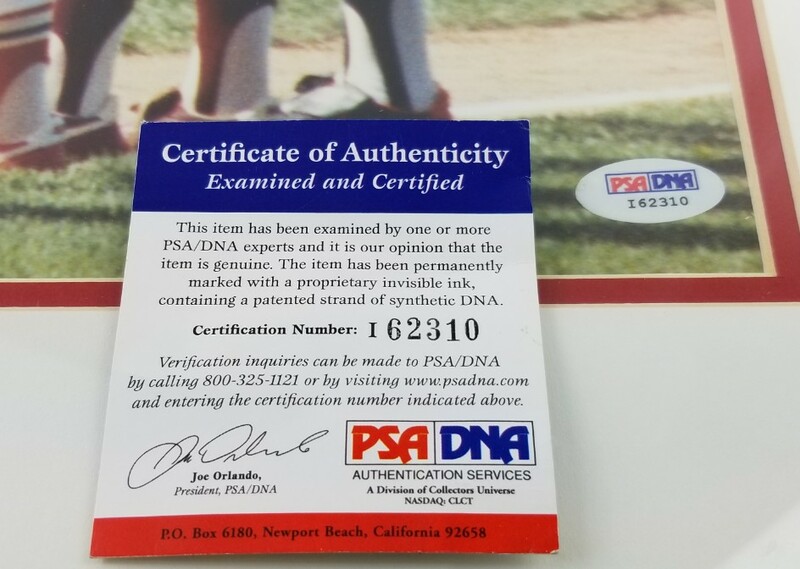 These autographs are certified by PSA/DNA (Professional Sports Authenticators). The photo comes with the numbered hologram and matching Certificate of Authenticity. 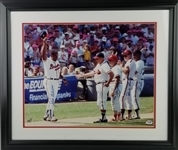 Due to the size of this item, shipping will be $35.